In this digital age, creating a buzz online has been a major part of the business industry practice. Thus, maintaining a user-friendly and completely informative website plays a huge role in the success of one’s business. Consumers are more drawn to products and services that they can easily search on the web. Hence, businesses with accessible websites gain more credibility than the rest. With all of these in mind and its will to provide better and more efficient service to the Filipinos, Cebuana Lhuillier, the trusted Philippine based-pawnshop and money remittance service, launched its newly enhanced website consolidating all of the brand’s products and services. Cebuana Lhuillier (www.cebuanalhuillier.com) is our 24/7 access to all the information we need to know may it be concerning remittance, insurance and pawnshop needs. 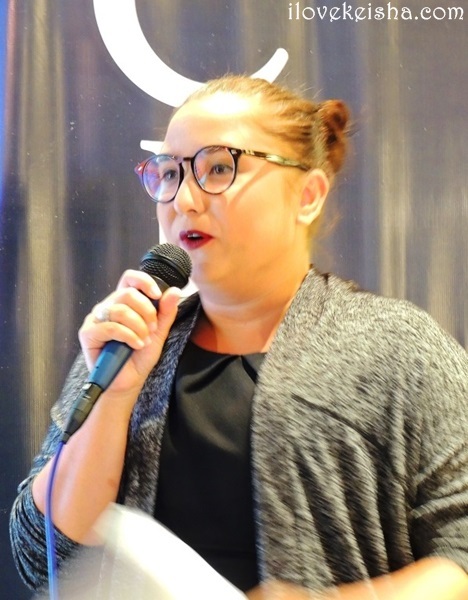 I was fortunate to be part of the intimate website launch held at Le Petit Souffle, Century City Mall where we had the chance to experience first-hand the features of the new Cebuana Lhuillier website. Truth be told, when someone asks me about Pera Padala or money remittance service, the first thing that I’ll say is “Ipa-Cebuana mo!”. This is how it made an impact to me most especially that my husband avails this remittance service when he sends money to our tourist bus drivers when they have assigned trips in provinces. The serviced transaction is fast and reliable. And, what’s great with Cebuana is that they also offer the lowest charged fees. 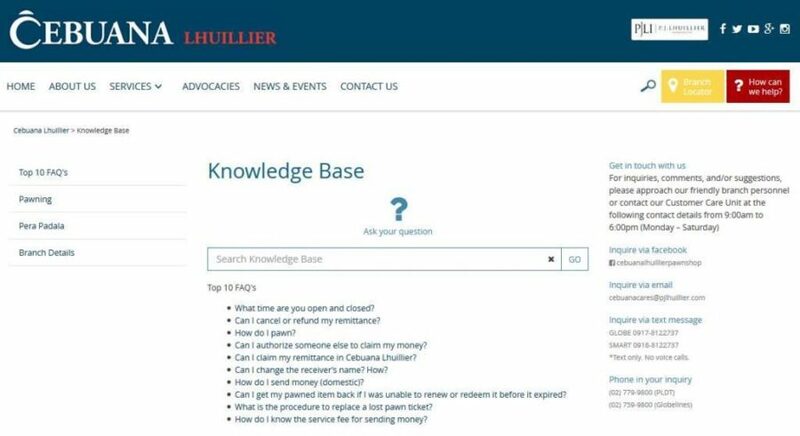 The new Cebuana Lhuillier website has a knowledge base equipped with its own search engine instead of a regular FAQs section. Looking for articles concerning customer’s concern is now easier and faster. 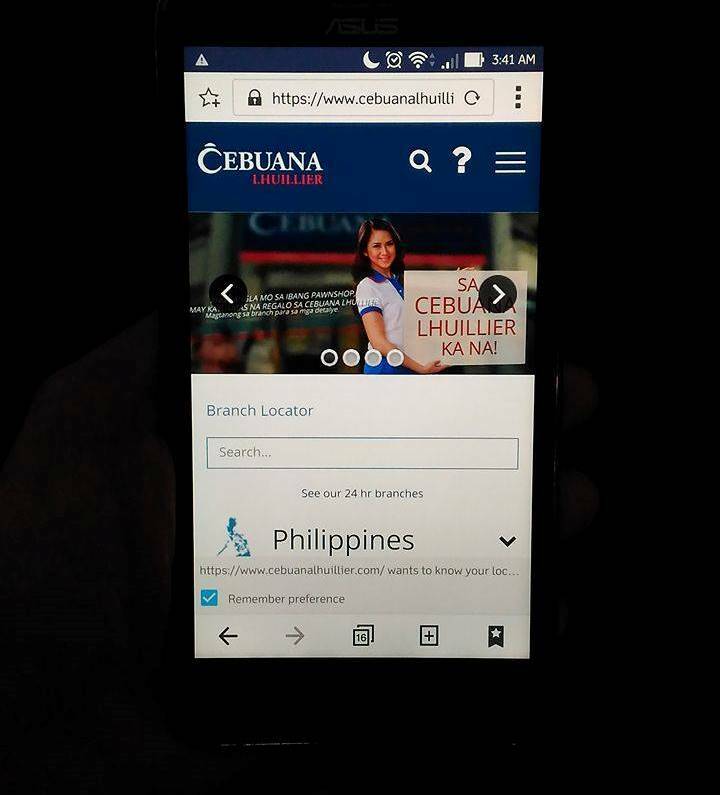 When you open the website, the branch locator will automatically show the nearest Cebuana Lhuillier branch to you. All thanks to its geo-tagging feature. Aside from this, it also lists all of the branches nationwide and all the partners for international remittance. This is a very helpful feature as it allows customers to get an estimated appraisal value of the items they want to pawn even before they visit a branch. Since the use of a mobile device is the “in” thing these days, the new website has been designed to be easily navigable through a mobile phone. You can access it conveniently even when you’re on the go. In order to assist clients’ concerns with less clicks and a shorter amount of time, a shortcut menu appears containing its main sections on the first instance of opening the site for each day. 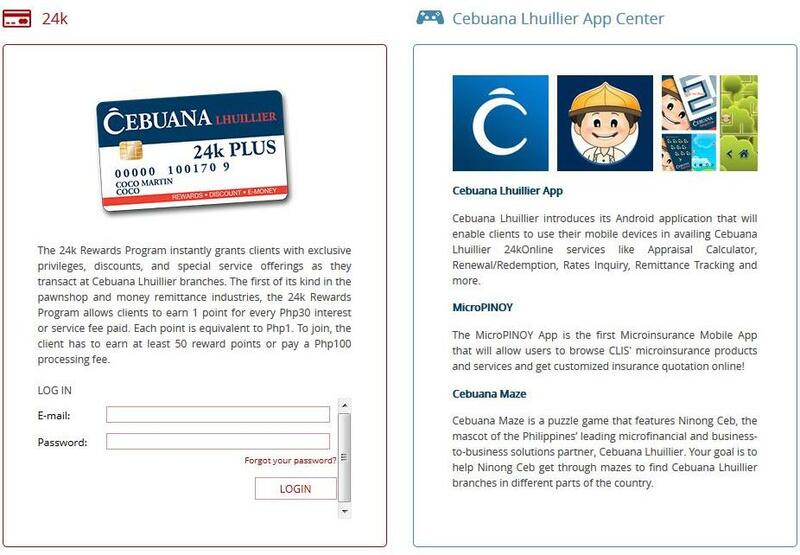 This is a special part of the website that provides links to Cebuana Lhuillier’s online applications. Aside from these helpful features, the new Cebuana Lhuillier website will come up with three more features – Live Chat, Online Transactions and Loans Section, soon. Visit www.cebuanalhuillier.com and see for yourself how easy to navigate this one-stop website is.